On November 29, 1956 our mutual dream came true through the beautiful voice of the host Nara Shlepchyan: Public, that is, our and your, Television started broadcasting; the event eagerly anticipated by all of us had taken place. The first regular broadcasts were aired four times a week – on Tuesday, Thursday, Saturday, and Sunday, – 2 hours a day. The first employees at Public TV imagined that television was an area where they would occupy themselves with arts and culture. This was the reason of that the first broadcasting schedules abounded in feature broadcasts and teleplays. Children’s shows were on the way as well. On February 17, 1957 started the first children’s broadcast – “Giulnaz Tati Hekiatnere” (Giulnaz Granny’s Fairy Tales) directed by Olga Melik-Vrtanesyan. And already on August 6 of the same year, Public Television’s broadcasting schedule was supplemented with “Shabatva Norutiunner” (Weekly News) newscast, though it was not regular. Only in February of 1958 the newscast titled “Norutiunner” (News) at Armenian television became regular. At that time the TV news editorial board was created. Among the first political commentators were John Kirakosyan and Hakob Hakobyan. The preparations for the first TV program for the New Year celebration were particularly fascinating. The area of studio (60 m2) was not sufficient for festive performances. Besides the piano, TV cameras, monitors, and illuminators, a New Year Tree had to be placed in the hall. Thanks to the smart employees, the natural tree had been substituted for a picture, and the cameraman Vahagn Gharibyan together with his assistants putting bulbs of different power and colors into bright cans had invented the first self-made light effects. In 10 years after its foundation our beloved channel managed to hold leading positions in the USSR, registering nearly 500 screen-versions, including “Sayat-Nova”, “Srtnerk Hamar 4” (Lipstick # 4). In 1970s the broadcasting area of Public TV spread beyond Yerevan. The first TV broadcasts outside the capital were aired in Armenian towns Ghapan, Kajaran, Sisian, later in Ghukasian and Amasia. People in these and other regions had had an opportunity to watch as Armenian public TV as Moscow TV. In 1973 “Eterum e Yerevane” (Yerevan on air) Weekly in its 40th issue announced the start of the second Armenian TV channel in the article titled “Miatsrek Herustatsuitsi 11rd Alike” (Turn to 11th Channel). Already in 1978 half of the broadcasts of those two channels were aired in color. Speaking about color broadcasting, it is impossible not to mention the name of Hovhaness Adamyan who is the inventor of the three-color TV set – the discovery that was put into practice by Columbia Pictures in 1950s. In 1977 the average duration of Armenian daily broadcasting reached 12 hours. In those times there were approximately 500 000 TV sets in our country, of which 100 000 were color. In the early 1970s the musical part of broadcasting scope was enriched ever more – the Symphonic Orchestra of Public Television and Radio conducted by Ohan Duryan was created. On November 25, 1977 started the TV series “Yerazhshtakan Postarkh” (Musical Post) that played great role in the popularization of Armenian folk and pop songs. In 1983 Armenian television once again surprised its viewers airing “Anush” film-opera made at “Yerevan” studio. In the midst 1980s live broadcasting was restored. The TV series “Aracharkum e Herustaditoghe” (Viewer Offers) that discussed viewers’ opinions on different programs was launched. The newscast “Lraber” (herald) was changed qualitatively. Trust in TV broadcasting had increased. The year of 1988 was marked by disturbances, self-determination, and revaluation of values for our nation. The question of Nagorno Karabakh was raised. 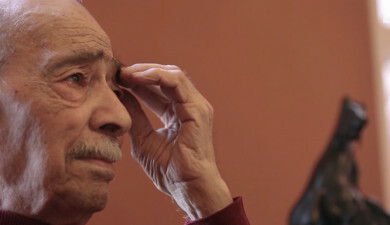 The small screen had become more public, especially after Genirkh Borovik’s broadcast “Position” aired by Moscow television and dedicated to the events in Karabakh. However, the climax of those events’ coverage was live broadcasting of Armenian Supreme Council meeting on June 15. In the same time period Nagorno Karabakh’s television was also airing live. In the end of 1988, Armenian television covered sorrowful events. On the very first day of the December’s earthquake the reporters of TV Chief Journalistic Editorial Board were in the disaster area. The “Lraber”s special issues began and ended with the reports sent from there. Thousands of people were looking for their relatives and friends after the earthquake. The editorial board of “Yerevan and Erevanians” together with the Ministry of Home Affairs created the service “Voronum” (Search) as well as the TV program of the same title which helped many people. In the early 1990s the television was comparably freed of censorship. Along with social and political broadcasts the entertaining shows had been increased. “Khchjankar” (Mosaic) program that on the last day of 1990 aired “Chjampordutiun depi 1991 Tvakane” (Travel to the Year of 1991) 24-hour telethon enjoyed great popularity. A month later a new TV series “3-rd Alik” (3rd Channel) was launched, whose creative group was in the main formed on the first day: Artak Arzumanyan, Elmira Arsenyan, Artavazd Eghoyan, Vachagan Nersisyan, Karen Kocharyan. Independence won in1991 was the beginning of a new era for Armenian nation. Armenian media got an opportunity to develop under free and favorable conditions for the first time. A few days after the declaration of independence “Haylur” (Armenian News) newscast anchored by Tigran Naghdalyan was launched. Each issue of that program was ended with a music video, most often with the songs by Robert Hakhverdyan. However, the independence was not easily gained. Armenia suffered energy crisis. Owing to lack of energy that was given only for 2-3 hours a day, TV broadcasts were decreased 2-3 times as less; the country suffered economic crisis; military operations in Karabakh started. The Karabakh war was in the center of Armenian journalists’ attention. Reporters, with photo and video cameras, dictaphones, pens an paper in their hands, worked in the war fields, in the hottest spots. In May, 1992 the group of journalists created the TV series “Artsakhian Obiektiv” (Karabakh’s Camera Lens). In 1994 another TV series – “Goyamart” (Struggle for Existence) – was launched. A great role in the creation of Karabagkh struggle chronicle belongs to the serial made by Tsvetana Paskaleva, the Bulgarian director and documentary screenwriter of Armenian origin. In November, 1996 the 40th anniversary of Armenian television was celebrated with festivities. 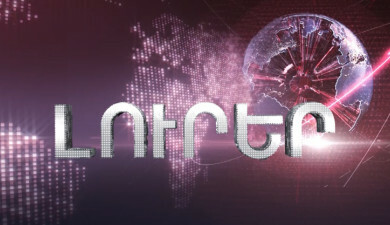 National television maintained its previous achievements with great difficulties. 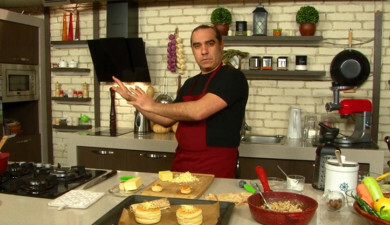 In 1997, 6 years after the closure of “Haylur”, Tigran Naghdalyan renewed his activities at television, launching “Orakarg” (Agenda) broadcast. In those years “Art 13” small TV studio was created, which was supported by the then Defense Minister Vazgen Sargsyan. “Zinuzh” (Armed Forces) broadcast was launched as well. Since 1999 Armenian television started broadcasting via satellite, which was implemented based on the contract signed by RA Ministry of Communications and Telespazio, Italy. According to the law that came into force in 2000, National Television was renamed into Public Television Company with «Հ1» logotype. In accordance with the RA Law on “Television and Radio” that came into force in the same year, Public TV Company was obligated to air all the films and broadcasts only in Armenian until January 1, 2005. At first cartoons were translated, later serials were dabbed. In 2005 the first virtual studio in the country was created. Its major objective was to decrease the setting expenses. “Hekiatn e Kanchum” (Fairy Tale Calls), “Tezh Tasniak” (Top 10) shows were airing from there. 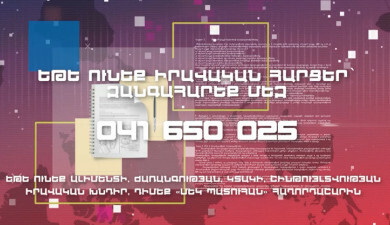 In 2005 new directions for development were opened before Public TV Company of Armenia. In July 7-8, at the European Broadcasting Union 56th General Assembly held in Dubrovnik, Public Television Company of Armenia and Radio became full members of EBU, as a result of which the luxurious celebration of 50th anniversary of Eurovision Song Contest had been aired. Next year we already got an opportunity to represent our country at that popular music fest. In 2007 children were involved in “Evrotesilyan Alik” (Eurovision Wave) as well. Arevik with her “Yerazank” (Dream) song gained the 2nd place. In 2008 the broadcasting of Latin American soap operas, along with a series of entertainment programs gradually decreased, then totally ceased, being replaced by films and programs of domestic production. A new stage of fiction and TV films production launched then. In 2009 “Yerevan Studio” released “The Killed Dove” based on the novel of the same name written by Nar-dos: in 2010 the studio launched the Khachagoghi Hishatakarane (Diary of a Cross-Stealer) based on the same novel after Raffi. The film was shown in five series. The list of the films continues with the following ones: 2011 – “The Artist’ based on Shirvanzade’s novel carrying the same name. 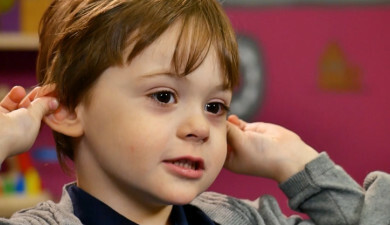 What concerns soap operas-the pioneers of Armenian soap operas were the “Orphans” and “Anna” released in 2009, followed by “Our Village”(2013) and “Ambulance” (2014). In 2015 Public TV Company launched “Special Division” TV series. “Canticle of Canticles” music project has been airing since 2010. In 2013, literary TV series entitled Armenian Library kicked off. The constant development of TV equipment over these years enabled the transition into digital broadcasting. In 2014 Public TV Company acquired world famous Avid Company system which has already been successfully functioning in a number of TV companies-ОРТ, РТР, BBC, ABC. The TV Company obtained video servers and the wide opportunities available through computer graphics. In 2015 Public TV Company received an HD mobile television station equipped with 10 video cameras and an HD satellite broadcasting station within the frameworks of donations on behalf of the People’s Republic of China. Within the framework of the annual gratuitous relief from the Chinese government, the Public TV Company has also obtained digital satellite news gathering (DSNG) device. Viewers are currently enabled to follow Public TV Company broadcasting both through a PC, and via mobile phones as well as via tablets: applications designed particularly for Android and IOS systems, are available for free download. On September 13th, 2016, Public TV Company launched 60th anniversary program season and switched to HD broadcasting available for both metric and satellite broadcasting.